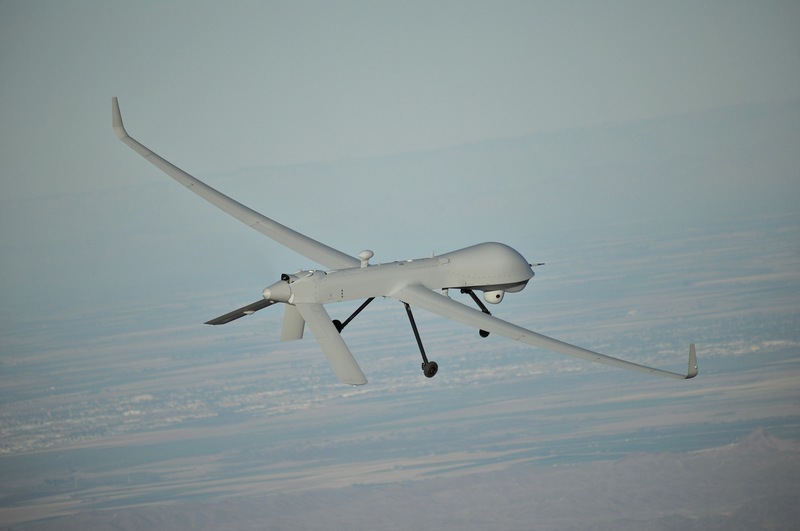 General Atomics plans to begin deliveries of its Predator XP remotely piloted aircraft next year to the United Arab Emirates, the first international customer for the unarmed export version of the aircraft. The U.S. Congress approved the sale earlier this year, two years after it was announced during the International Defense Exhibition and Conference in Abu Dhabi. Predator XP deliveries to UAE should begin in mid-2016 and take about four months to complete, Pace said. General Atomics is a subcontractor on the program to International Golden Group of Abu Dhabi, which will supply the aircraft, ground stations, spares and support to the UAE Air Force. Pace would say only that one system, which typically consists of four aircraft, will be delivered. Designed to provide “persistent” intelligence, surveillance and reconnaissance, the Predator XP is fitted with General Atomics’ Lynx multi-mode radar, high-definition electro-optical/infrared cameras and an automatic identification system for tracking ships. Though unarmed, the aircraft’s sale to the UAE required an export license from the U.S. State Department and was subject to criteria of the 34-nation Missile Technology Control Regime (MTCR). The MTCR restricts exports of rockets and unmanned aircraft capable of delivering a payload of at least 500 kg (1,102 pounds) to a range of at least 300 km (186 miles). Pace also commented on recent developments involving the manufacturer’s MQ-9 Reaper, which is based on the 10,500-pound-maximum-takeoff-weight Predator B. General Atomics is awaiting confirmation of a letter of offer and acceptance (LOA) between the U.S. and Spain for the foreign military sale of four Reapers to the Spanish military. It expects the LOA will be signed by the end of the year. Once the transaction is approved, Spain will join the UK, France, Italy and the U.S. as operators of the MQ-9. Italy’s request to arm its MQ-9s has been approved by the U.S. government, and is “going now through the rubber-stamp process,” Pace said. “I would expect that would be done within the next 30 days,” after which the U.S. government would issue an LOA to Italy for signature. “It’s probably about two months behind the Spanish process,” he added.